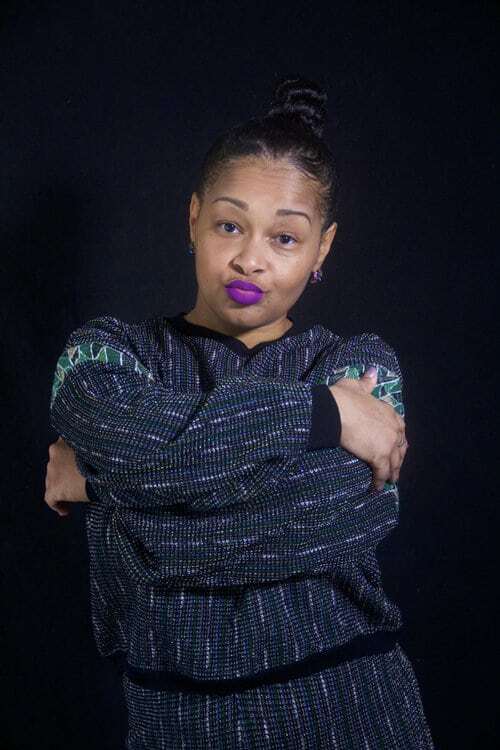 Hip Hop Caucus are using the power of hip hop culture to activate people across America and around the world to be an active part of the civic process and make change happen in their own communities. 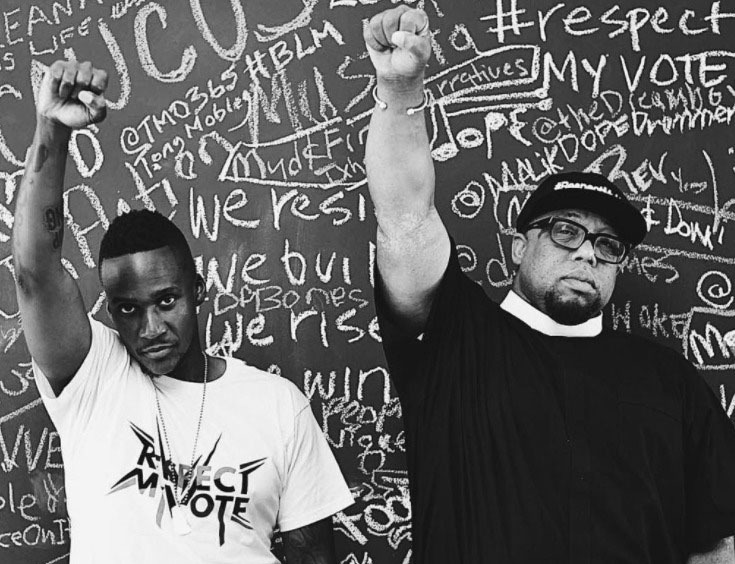 Hip hop, the Caucus don’t stop – not until everyone feels able to take action and have their voice heard. 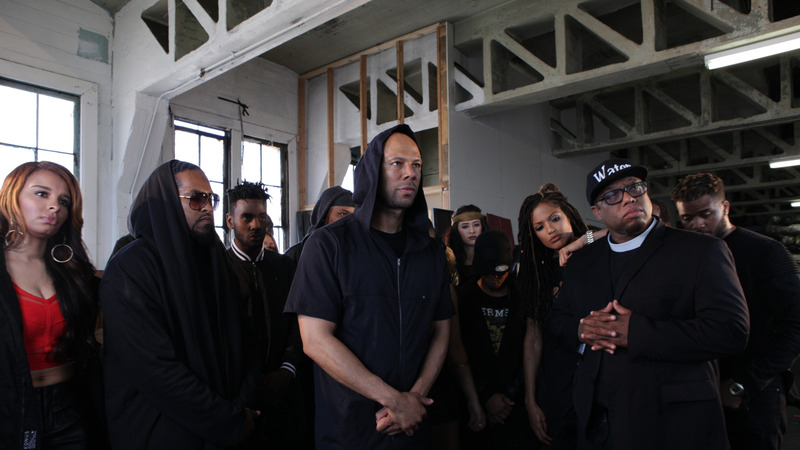 Hip Hop Caucus represents the streets. What happens when musicians Jay-Z, Russell Simmons and P. Diddy, and union network AFL-CIO all start rapping from the same hymn sheet? In 2004, their campaigns – Jay Z’s ‘Voice Your Choice’, Russell Simmons’ Hip Hop Summit Action Network, P. Diddy’s Citizen Change (Vote Or Die! ), and AFL-CIO’s ‘Hip Hop Voices’ – were brought together as a new organisation, the Hip Hop Caucus: a political hip hop mash up run by minister and activist Reverend Lennox Yearwood. The goal? To unite and empower communities who are impacted first and worst by injustice – and to do it in their language. The Caucus is, as Rev. Yearwood puts it, “a civil rights organisation for the 21st century”. 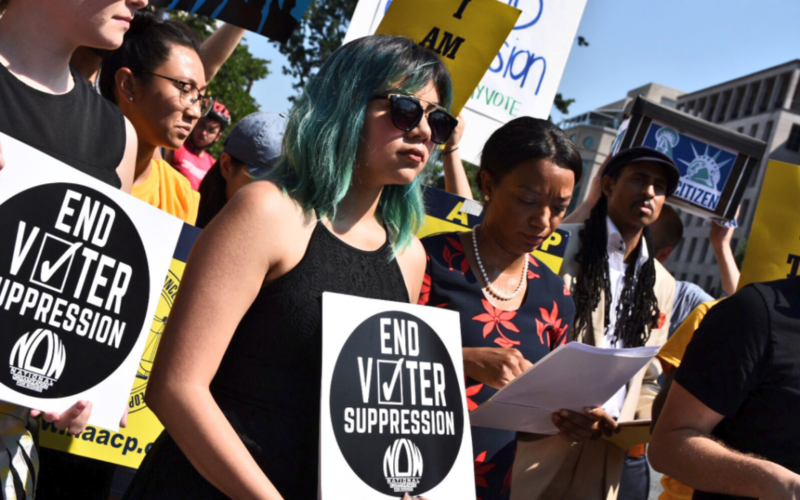 Focusing on voter rights and environmental justice, their activity has mobilised more than 600,000 people across the United States. 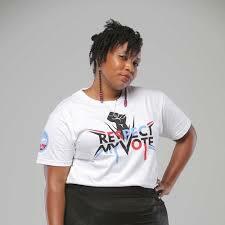 The first major campaign – still in action today – was the Respect My Vote campaign which set a world record in 2008 for registering the most voters in one day: 32,000 people across 16 US cities. 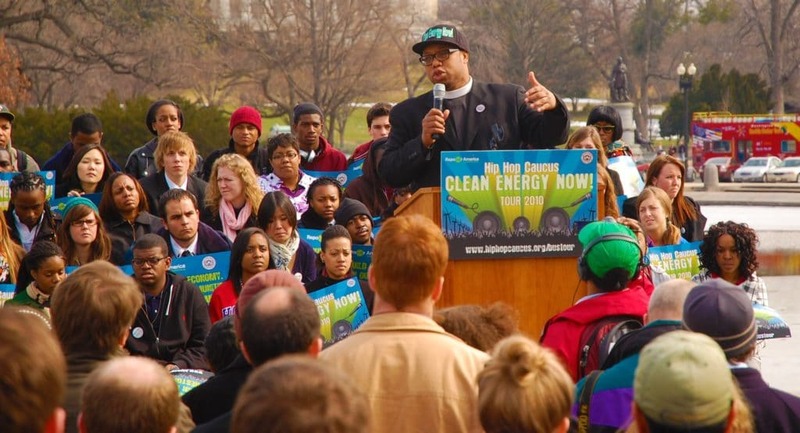 The Hip Hop Caucus crew have taken to the streets, driven a clean energy bus from New Orleans to Washington D.C. (complete with on-board DJ and dancers), and launched a podcast hosted by Grammy-nominated singer and actress Antonique Smith. And the big names don’t stop there: the Caucus’s musical partnerships have included the Black Eyed Peas, Common and Jeremih. 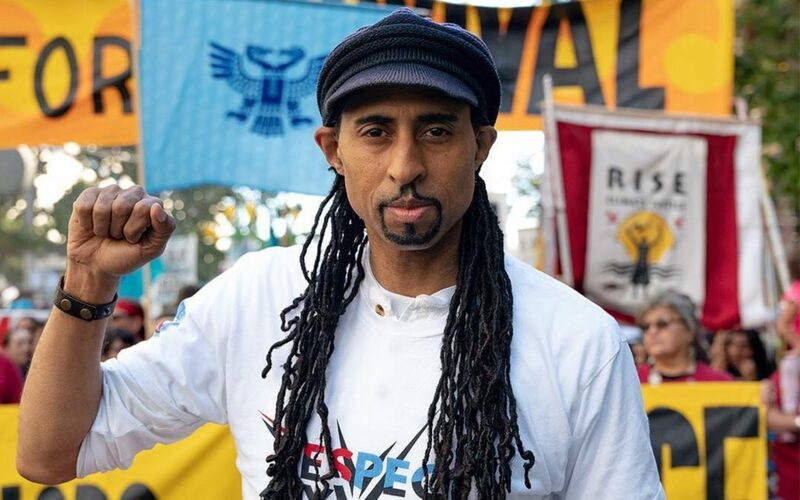 We spoke to Hip Hop Caucus’s Senior Vice President, Mustafa Santiago Ali, about how hip hop can change the world – and what it really means to keep it real. Hip Hop Caucus represents the streets. It represents those who have a message to tell and who won’t be quiet, who will force change to actually happen in a positive way. 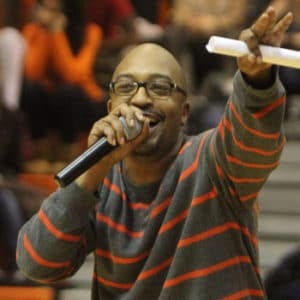 When the Caucus started out, hip hop was taking a much more active role in addressing some of the things that were going on politically in our country – and then of course around that time we had the first African American president by the name of Barack Obama. There was a feeling that we could actually make change happen – at the local level, at the state level, and across the planet. 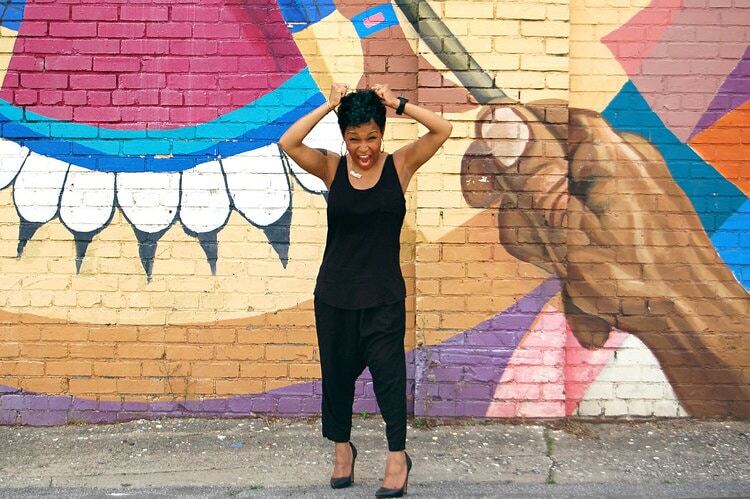 Hip hop is not just an American genre or art form – it’s global. No matter where you go across the planet, you feel and see hip hop expressing itself in those cultures, and they are utilising it in a way that is needed for whatever their particular areas of focus are. We believe that communities speak for themselves: the voice of communities has to be a driver for any activities or programmes or policies. A lot of people have a lot of letters after their name and think that they know what’s best, but we know that communities know many of the solutions that are necessary. We just wrap that in culture. It becomes this powerful entity that draws people in, it’s almost like a gravitational pull, that’s the beauty of culture, that’s the beauty of hip hop: it feels like home, it feels like family. It helps people understand that they have more things in common than they have differences. Hip hop is everything that we breathe, it’s how we express ourselves. It’s not just music, it’s also poetry, art, dance, dress. It is a connection to the places where people come from, both the beauty and the tragedy that’s there. The beauty of hip hop is that it’s always changing and evolving, it’s not static, but it is anchored in community, it’s anchored in the need for expression, it’s anchored in love but it’s also anchored in protest. It all comes together in a way that helps people understand that they can make change happen – just by putting together a few bars. It can happen by motivating people to come together for a march for policy, or for a town hall. Sometimes we connect people to their congress person or senator, or with one of the big international organisations working on an issue that affects them. It just depends on what that particular community or organisation is focused on. Culture is that streak of consciousness that runs through the universe. I believe one day, some time in the future when we realise and connect with others, it will be culture, it will be music, it will be those sounds and those beats that will create that bridge. If we’re gonna have real talk – unfortunately, when you look around at some of the movements you may not see a lot of folks of colour, they may not necessarily have felt like there was a space and a place that was inviting to them. So when we’re talking about climate change, we’re making sure that people understand that frontline communities – the ones getting all of the negative public health impacts – have to be a driver in that space, their voices have to be framing out policy. We try to break down these barriers to make sure that we’re getting more folks of colour into positions so that their voices can be heard and their innovation can help, so that we can truly win on climate change and environmental injustice. 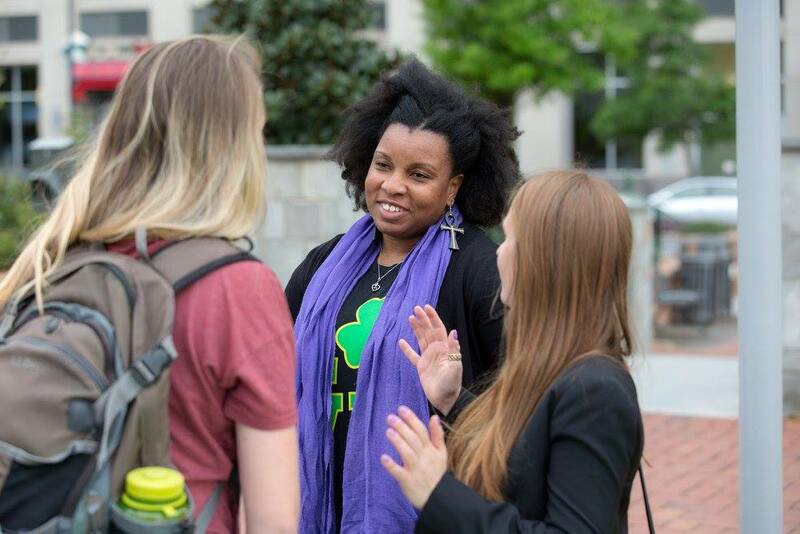 So often, people approach folks to get engaged with voting or the civic process who don’t necessarily look like them, don’t come from their communities, don’t understand the challenges and the opportunities that exist in the communities that we work with, that we come from. 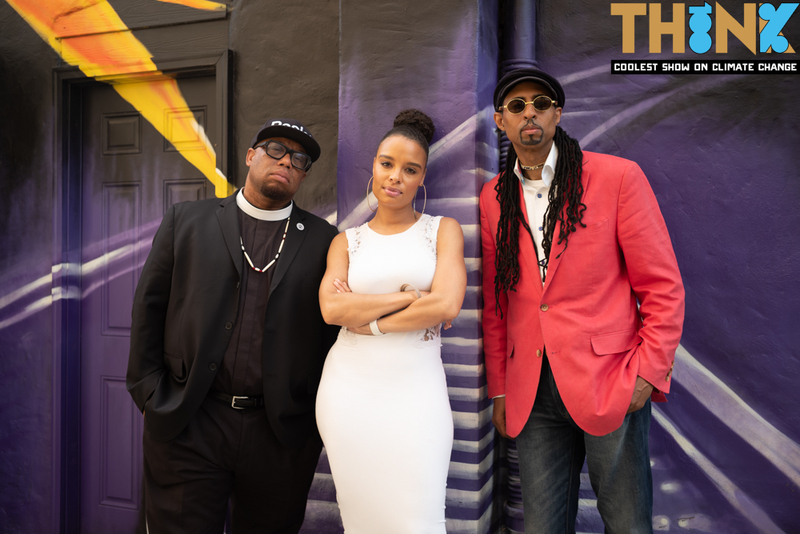 Let’s say you see Jay-Z or Beyoncé or Antonique Smith or Elle Varner, who are saying hey, this issue is important, this issue can help to transform our community, this issue can help us to have power again. That is a transformational moment that you respect because of their artistry, and because you see yourself reflected in them – they come from where you come from. That makes real change happen. Collectivity – truly having an authentic collaborative partnership – is just a natural way of doing business. The Caucus has worked with so many folks – everybody from the White House and folks on the Senate to grass roots organisations, public health organisations, all of our indigenous brothers and sisters and the nations that we continue to work with, the youth organisations, civil rights organisations. For me it’s just natural – you do have to work at it, but it’s almost like breathing, if you’re not doing it you’re dying. One of the things that’s so important – in America and across the planet – is the civic process. 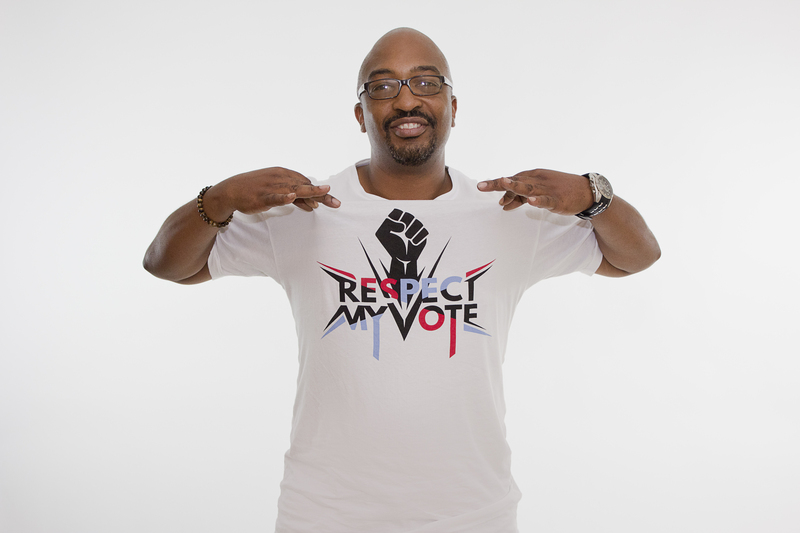 Through the Respect my Vote campaign, Hip Hop Caucus has engaged around 600,000 people around the civic process, helping them understand the power that exists inside their vote, how their vote can help to make change, how their vote can help to address some of these atrocities that we continue to see happening inside communities across the planet. We work with young people, returning citizens, indigenous communities: so many folk who sometimes are unheard, unseen. Gun violence or climate change or environmental issues shouldn’t be partisan issues, we’re talking about humanity. It’s just incredible to see some of the things that are still going on – sometimes you have to take a step back to see wait, this is 2018, and these kinds of egregious behaviours are still happening and it’s almost like we’re going back in time 100, 200 years, we should be evolving quicker than this. We work with artists and entertainers who are using their platform to actually talk about some of the problems that have been going on but also tie that with solutions. So you have people like Common, who did a video with us called Trouble in the Water, talking about the Flint water crisis. You have people like Antonique Smith, the Black Eyed Peas, also Taboo did this incredible video called Stand Up / Stand N Rock which highlighted what was going on there. He showed that when folks say ‘water is life’, it’s more than just a slogan: it’s actually a connection to the culture that exists there. There’s a community in South Carolina that I’ve worked with, they had all kinds of crazy crazy things going on. Bad transportations routes, old housing, environmental impacts from brownfield and Superfund sites, lack of access to healthcare. This project took a $20,000 grant and led to $300 million in changes, we’ve got new green housing, lowered people’s electricity costs so they had more disposable income, new transportation routes and cleaned up brownfield and Superfund sites and put a solar farm on it. They’ve got a supermarket in where before they had food desert issues. We’ve put worker training programmes in so that the local community themselves are part of the rebuilding and revitalisation that’s happening. At the Global Action Climate Summit in San Francisco, we created a programme called Our Village. You have all these great folks who come to the Summit – running countries and organisations – but in many instances the voices of grass roots and indigenous communities are not heard. So we made sure that we created four days of programming there that brought in these communities with music, art and policy conversations. We had virtual reality stories so people could literally walk through these communities and see both the impacts that happen, and also how folks are pushing and making change happen. James Baldwin once said that if I love you I have to make you conscious of the things that you don’t see, and probably also the things that you don’t want to see. So through poetry and writing, through the visual and audio arts – all of these things come together to make us see the things that we don’t want to see, but also know that it’s okay to see these things because we have the power to actually make real change happen. That’s the beauty of culture. AtlasChart ► Check out Hip Hop Caucus’ Top 3 favourite projects. If Not Us Then Who?, Eighteen x 18 and Moms Clean Air Force. Hip Hop Caucus were talking to Becca Warner, nature-geek, urban forager and all-round wordy sort.